Brazil were dumped out of the 2015 Copa America against Paraguay after the penalty-shootout out where Paraguay got the better of 5 time world champions, the game finished 1-1 in the normal full time which lead to penalties. 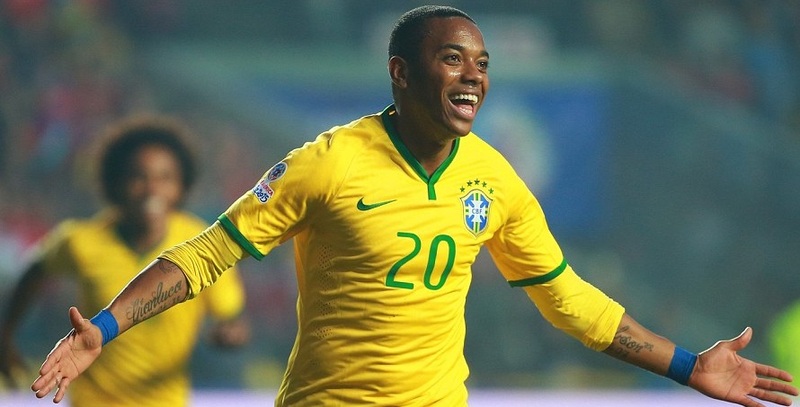 Brazil started the stronger without their star man Neymar and after creating couple of chances in the first 10 minutes they finally took the lead through veteran Robinho, who slotted home what turned out to be Brazil’s only goal of the game. Paraguay made themselves difficult to breakdown and used their physical ability to enforce the attacks which lead to a penalty awarded when Thiago Silva handeled the ball in the box which lead to equaliser from the spot when Derlis Gonzalez scored with a neat penalty in 73rd minute. The game finished 1-1 in the normal 90 minutes. Brazil won twice and lost 1 game in the group stages of the on going copa america which ensured their place in the knockout stages as group C winners and now they will be facing unbeaten Paraguay who finished runner up behind Argentina in the group B after drawing two matches and winning 1. The match will be played this saturday night, 27 June 2015 at around 18:30 local time /22:30 uk time at Estadio Nacional in Santiago. Brazil will be without Neymar who was suspended in their second group game after the final whistle and he has left the squad but Brazil did manage to see off the challenge in the last group game when they defeated Venezuela to qualify as group winners. Brazil started the campaign with a 2-1 win against Peru which came in lucky circumstances in the stoppage time but they fell to a 1-0 defeat against Colombia. 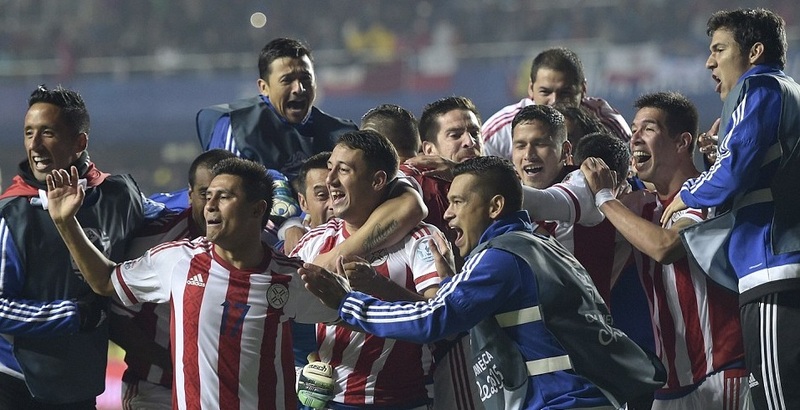 Paraguay on the other hand finished unbeaten during the group stages which not many people expected. They hold out Argentina to a well played 2-2 draw and they should take heart from that as they prepare to face 5 time world champions Brazil. 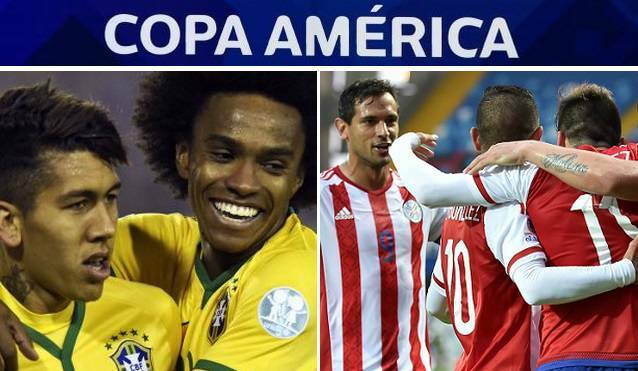 Paraguay do have a good record of reaching quarter finals of Copa America as they have done so in 7 of the last 8 competitions but getting beyond that seems like a problem as only 1 time they managed to go past quarter finals which was back in 2011 when they lost ot Uruguay in the finals. With Neymar out of the Copa America, new Liverpool signing Firmino is likely to keep his place in the side alongside vatern Robinho who had a good outing against Venezuela. Diego Tardelli might miss out on the starting lineup and same can be said about David Luiz who might miss out while Miranda and Thiago Silva are set to start in central defenders roles. Paraguay made number of changes in the game against Uruguay when qualification was already secured so we might see a different lineup in the quarter finals. 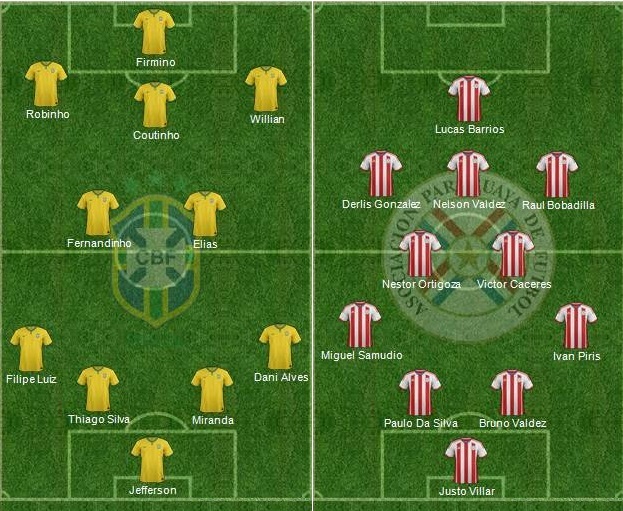 It is remain to be seen whether Roque Santa Cruz will start the game or not.